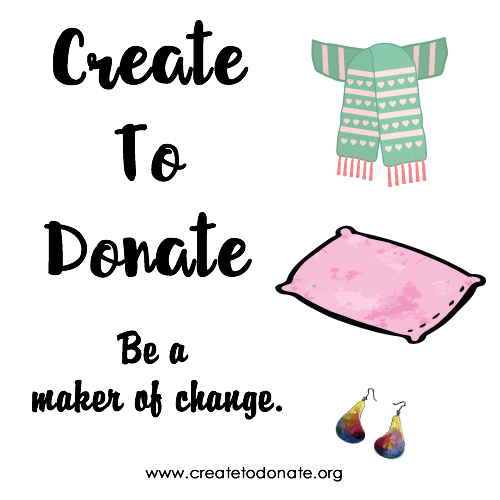 While proceeds from the Goods Giving Back marketplace may currently focus on just a select group of nonprofits, one of the goals of this blog is to bring important topics related to social good and social change to the forefront. While I was doing my research, I didn’t have any specific categories in mind, but instead sought out a couple of articles I read a while ago that make an impact in addition to new-to-me posts. So this week, I want to share 6 interesting initiatives from the social good community with a focus on the improving the daily lives of those who are most vulnerable. health and sanitation (and dignity) for under-served populations. I hope you enjoy learning about these ideas as much as I did. Living in Northern California, we regularly have “Spare The Air” days where people are asked to refrain from driving and also burning wood indoors or out. Add the big fat drought into the equation and most people are extra careful about open flames because of the harm they could do in a matter of minutes. So when I am reminded that nearly 3 billion people rely on open fires and simple stoves to cook their food I can easily understand why it’s so important to find a ‘cleaner’ cooking solution. The Global Alliance for Clean Cookstoves is an initiative hosted by the UN Foundation. Not only will clean cookstoves reduce the impact to the environment, but they can also support gender equality by providing new avenues of income. I love a good salty or sweet treat as much as the next person, but part of the reason I can enjoy the treats is because I regularly fuel my body with the healthy choices that surround me. What does a family do, however, when those healthy choices aren’t easily available? How does a parent provide a child with the road map for long-term health and wellness? Low-income areas without access within one mile (urban) or 10 miles (rural) to a supermarket are considered a food desert. And while there are plenty of programs seeking to close that gap and bring fresh, healthy choices to as many people as possible, I had not yet seen a company that was integrating the health of its customers with the health of those living in a food desert. Until Freshstax. In this interview, Skip Garrett of Freshtax shares how smoothies can also be a social enterprise. No only do we have to get healthy options to those living in a “food deserts,” but we also have to tackle how everyone can eat on the go without adding to the landfill. As you can see in the above video, Bakeys edible cutlery has a solution to this challenge. I watched the video in awe of how they worked to determine the best combination of ingredients and design that allowed for the longest shelf life. Purchasing some of the spoons is on my list of things to do in 2016 and I will be sure to report back on my findings. Children cannot understand and prepare for a sustainable future if the books they read and shows they watch don’t introduce them to the options that are available. So books like the illustrated Bicycles, Airships, and Things That Go provide children with a great foundation to see what’s possible in our every day lives. With this new look at how there are sustainable transportation solutions, children will not only understand all of the options available to them, but also imagine and invent an even more sustainable future. American television regularly pokes fun at the cringe-worthy “sexual health talk” young adults receive from either a teacher or a parent. And while Loveline callers may have demonstrated that too many American teens don’t know as much about the birds and the bees as they should, most still have access to the necessary tools and resources to educate themselves and keep themselves healthy. Young women are especially vulnerable because of the complexities involved in their menstrual health in addition to general sanitation necessary during a cycle. Each of the above initiatives looks to solve, in some way, the challenge of accessibility for the most vulnerable. And when having to assist family members, especially as they get older, with a basic need like going to the bathroom it takes a toll mentally and physically on everyone involved. Still, families carry on doing the best they can. So I was really excited to learn more about how one company is looking to improve toilets for the disabled. Not only will there be improved sanitation for the people who now have toilets that fit their needs , but just imagine how it will effect their mental health and self esteem. Caregivers will also have some respite from what is often one of the harder parts of the day. Reading details around each of the above only got me more excited to learn more about what people are doing worldwide. After all, I know that these 6 interesting initiatives from the social good community are just a tiny percentage of all the great work people and organizations are doing. So I will continue to share what I learn here on the blog and hope that you will connect with me on Twitter or Facebook to share what you’ve found. I want to find all of the little diamonds in the rough and get the word out so that they, too, can grow to have an even greater impact. If you have news or ideas of your own to share, I also host a weekly philanthropy-focused link up where I invite you to share the latest posts about the work you’re doing as a social enterprise, nonprofit, or maker who uses their craft to benefit organizations they love. What is your current favorite social good initiative?